For thousands of years, Indians have lived on the Columbia, Snake, and Clearwater rivers and their surrounding tributaries. They gathered food, hunted, fished, and lived in small and large villages, worshipped in special places, and carefully buried their dead. Because of this, it is a region rich with culturally and historically sensitive areas and artifacts. As time passed, non-Indians moved into the Columbia River Basin. They built homes and occupied the land in different ways. Like the Indians, they also worshipped in special places and carefully buried their dead. All these people left evidence of their lives on and around these rivers. These remnants are our country’s legacy and the heritage of all people and cannot be restored once they are damaged or removed. Cultural artifacts such as arrowheads, burial sites, homestead sites, and other items from past human life or activities are not a renewable resource. Once taken or damaged, they are lost to all of us. They should be left in place and honored. The Columbia River Inter-Tribal Fish Commission Enforcement Department, in cooperation with federal agencies and the Nez Perce, Umatilla, Warm Springs, and Yakama tribes, protects cultural and archaeological resources. It also works with federal, Oregon, Washington, and Idaho state and local law enforcement agencies in protecting these resources. Many visitors to locations where artifacts are found are unaware that it is unlawful to disturb, alter, destroy, remove, or deface sites and items. Unfortunately there are people on the river who, every day, destroy and remove cultural and archaeological resources. An archaeological resource is any material remains of past human life, activities, and occupation. This isn’t limited to Indian artifacts. Materials from ghost towns, homestead sites, or other early non-Indian settlement are all subject to these strict protections. There are federal, state, and tribal laws protecting these resources and damaging, defacing, or stealing them are crimes punishable with fines and prison terms. Not everyone who destroys or damages cultural artifacts is a collector. 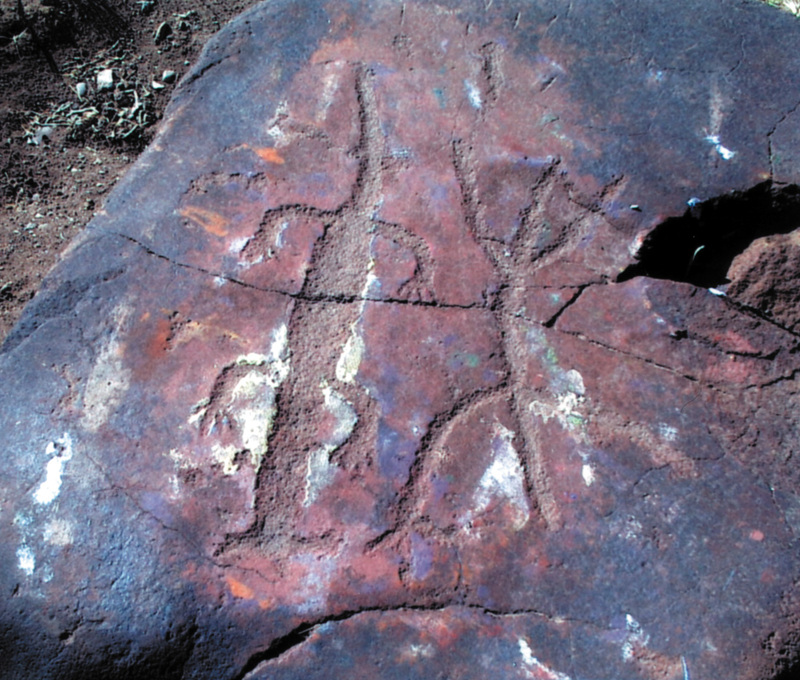 People damaged these petroglyphs by simply taking rubbings with chalk and paint. There is a $1000 reward through the Crime Witness Program issued upon the conviction of a looter or vandal. Together we can protect these priceless resources for future generations. 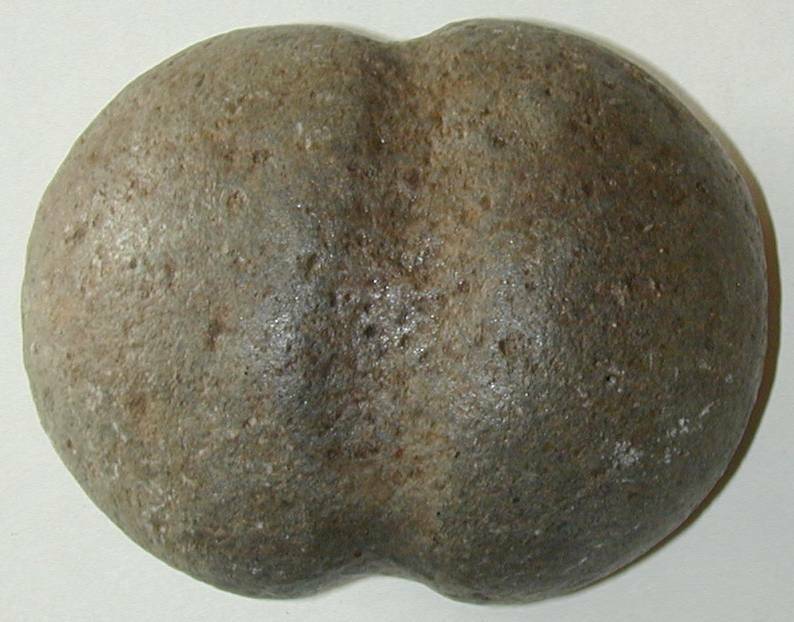 A stone net weight used by ancient tribal fishers. 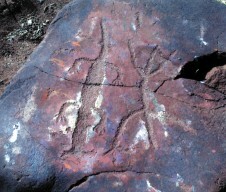 Items such as these are occasionally found along rivers in the Columbia Basin. The archeological protection work CRITFE performs ensures that the history of ancient tribal fishing culture can be remembered and studied for generations to come. Call if you see someone harming or stealing archaelogical resources along the Columbia River. Cultural resources belong to everyone; they are not the property of looters and vandals.